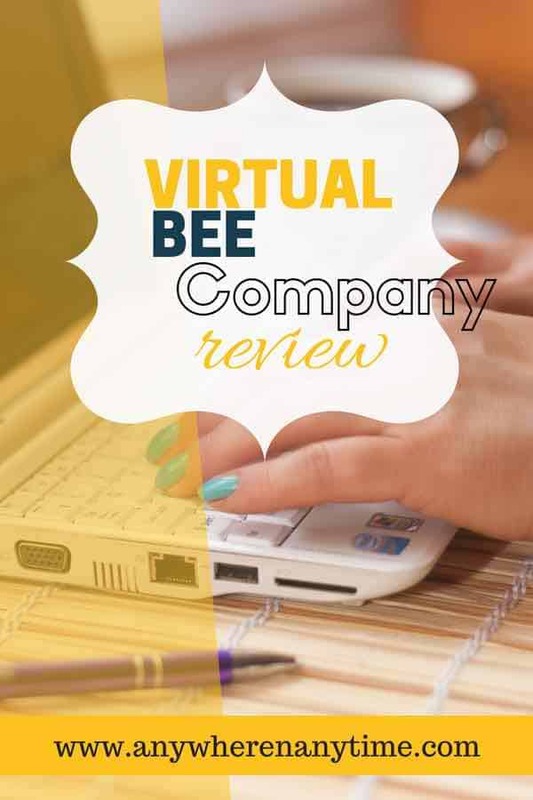 VirtualBee Review – Is it a Good Work from Home Opportunity? Would you like some typing work that you can do in little snippets while the kids are finishing their bath or while supper is in the oven? Do you want to know if VirtualBee is a good work from home opportunity? Will you be able to do data entry and make a pile? Let’s find out! VirtualBee is basically a data entry opportunity where you type little snippets of information and get paid for the correct entries you submit. The concept behind VirtualBee is a good one – take confidential information that needs to be typed, split it into unrecognizable snippets, distribute the snippets to people who are ready to type from their own homes, have them type it and return it and then pay them for it. These snippets are recombined at the source and… all the confidential information is typed and ready! It is a win-win situation for the company who needs the data entered and for the people who want to work from home at their own convenience. It is easy to do – log on, choose an available data entry task, look at the image and type. You can do the available work at your own convenience. All you need is access to the internet and a connected device to type on. You are under no obligation to complete a required amount of work. You can keep up your typing skills with little effort. You can do it from anywhere in the world. The pay is not very high, to say the least. Some people have issues with receiving their payments in a timely manner. Work is not available on a regular basis. The snippets are sometimes hard to read, making it difficult to complete such assignments. The support is not that great. Even if you get a high score on the evaluation, you may have to wait weeks, if not months before being invited to work. VirtualBee (known as Key for Cash until 2012) is owned by Virtual Solutions which was recently acquired by Lionbridge Technology, Inc. Lionbridge basically uses crowd-sourcing as a means to get independent workers to accomplish small data entry jobs. VirtualBee hires fast, accurate typists to work anywhere and anytime based on their own convenience. How do You Join VirtualBee? Fill in the basic information required. You will then receive an e-mail containing instructions after which you will be directed to the evaluation page. The evaluation consists of three parts. You need a score in the high nineties to possibly get invited to work. You can retake the evaluation once a day until you are satisfied with your score. VirtualBee is for stay-at-home moms or dads, college students, retired individuals or anyone who has fast and accurate typing skills, wants to make a little extra cash and does not mind sitting through periods where there is no work. It is not for someone looking for a full-time job or a way to pay the bills. VirtualBee now pays by direct deposit. They used to pay by check, but that is being phased out. Payments are made on the 10th and 25th of each month. There is a minimum $30 payout requirement. There are no additional benefits, nor any guarantee of minimum wage. 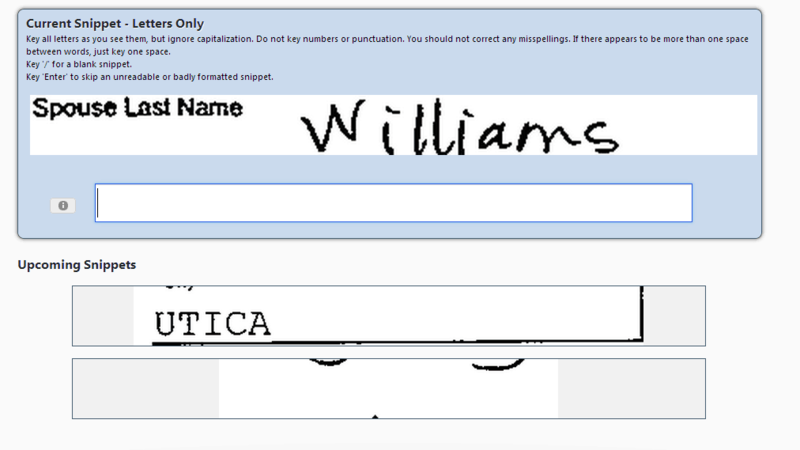 The payment depends on the number of correct characters typed per 1000 characters. The payment amount fluctuates, but is presently about $0.30 per 1000 characters. Fast typists who manage to get a lot of work can make $50 or more a week, but it all depends on how much work you get. There is no training as it isn’t required – you just type what you see in the snippets they show you. No other tools are required either – no downloads or additional programs. That part is convenient. There is e-mail support. But it is often generic and not always quick. If you have a problem, you may have to e-mail several times to get things sorted out. You must get a score in the high nineties on the evaluation in order to get an invitation to work for the company. VirtualBee definitely has its pros and cons. But if you don’t mind waiting for work and want something you can do a bit at a time whenever you have the time, it can be great. Some people find it to be a relaxing thing to do on the side to get a bit of extra cash as there is no pressure. And if you want a way to keep up those typing skills, it does that too! On the other hand, if you are ready to learn and are looking to work on building a more secure income, see if this interests you. Verdict: It is a legitimate anywhere anytime job. If you have ever worked for VirtualBee, let the rest of us know about your experiences. And if not, feel free to ask any questions you have below. TRYING TO FIND OUT IF YOU ARE LEGITIMATE OR NOT. YOU SAY NO FEE AND THEN YOU SAY $30; WHICH IS IT? There is no fee to join VirtualBee. When I joined it last year, I did not pay any fee. (I do not represent the company, but only reviewed it here.) Where did you see that there is a $30 fee? If you give me a lead, I’ll try to follow it up. Thank You for an excellent review on Virtualbee and it sounds just like the type of thing for anyone looking for a little extra money on the side of their income. However, I’m already building my own solid income through following the training at Wealthy Affiliate and it’s the best decision I ever made. I agree, Neil. I discovered Wealthy Affiliate too! The main things I like about Wealthy Affiliate are its well structured courses (rather than simply a ton of pdfs and videos) and the fact that you can work on it at your own pace. Both suited me very well. That said, online jobs have their advantages in certain situations – in this case a legitimate job that can help you make a little extra without the pressure. A well-presented and detailed review. Like you, I will be interested to learn from anyone who has had experience working for them. The idea looks sound, but the pay is probably only relevant to those in the developing world. The idea is sound, John and I’m surprised there aren’t more companies doing something like this. The pay used to be much better a few years ago. But the company has changed hands and the pay has been going down and down. Actually it was down to $0.20 per 1000 characters for a while, but many of the typists refused to type when they lowered it that far. So it went back up to $0.30. I was never into data entry jobs, but do you think this is the best place to start? Well John, it depends on what you are aiming at. If you want some experience and work that you can do a bit at a time as time permits, I’d go for it. If you are aiming to regularly make a decent amount, it may not be worth it.